If you’ve ever grown tomatoes, you soon realize that, well, you end up with an abundance of the vegetable. After a bounty of slices on sandwiches and pasta sauce lose their appeal, what do you do with them all? 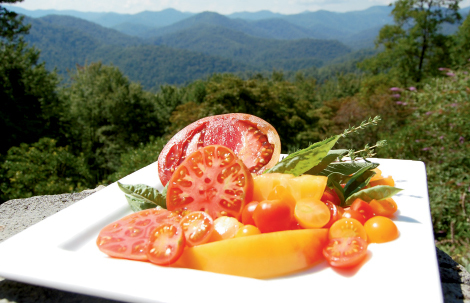 Chef Sarah Zell of Snowbird Mountain Lodge in Robbinsville offers her recipe for Tomato Soup Three Ways, one of the most popular items on the restaurant’s menu. This soup captures the last remnants of summer and a whiff of fall by combining smoked, roasted, and sun-dried tomatoes.